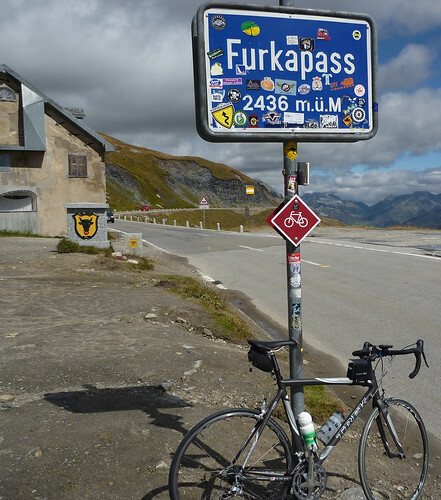 I was supposed to cycle Grimselpass in the Alpenbrevet last month but an avalanche closed the route. 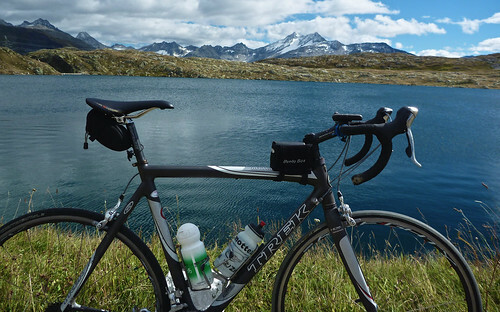 But it’s now re-opened, and I was determined to squeeze some more high Alps cycling in before the weather turns. 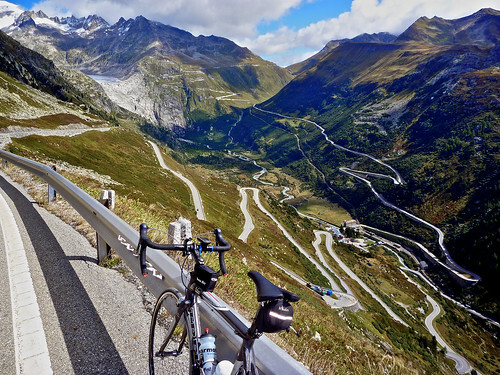 And these Central Switzerland climbs are as good as it gets. Grimsel is a big, long climb – with uneven grading, sometimes very steep, sometimes false flat, but relentless. The top stretches are beautiful, first approaching a huge lower dam as the road climbs to a large lake (3 dams in 2 pics above). 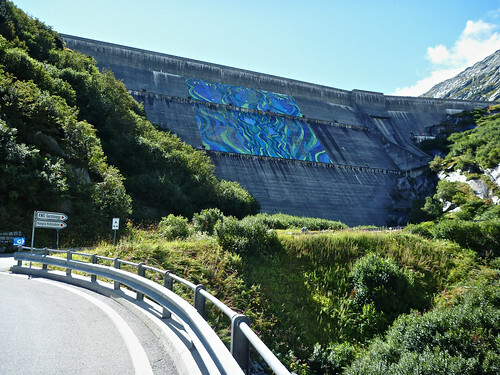 After passing the lake, it climbs past two more dams, above another lake and up to the pass itself – beside yet another lake. 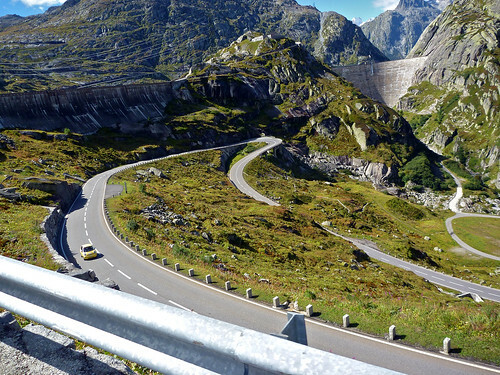 There are quite a few tunnels up Grimsel. 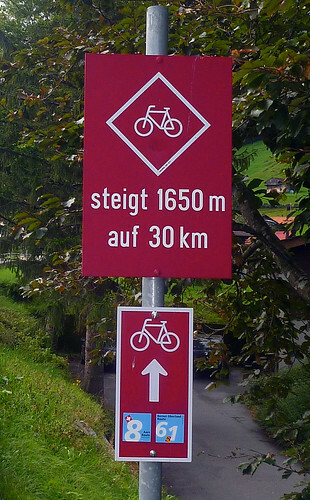 But the two biggest can be avoided by following the old paved cliff road – fine for a road bike. Three others can also be avoided by the old cliff road …. but they are not paved – but fine if not on a road bike. The route first descends straight down via several huge hairpins. 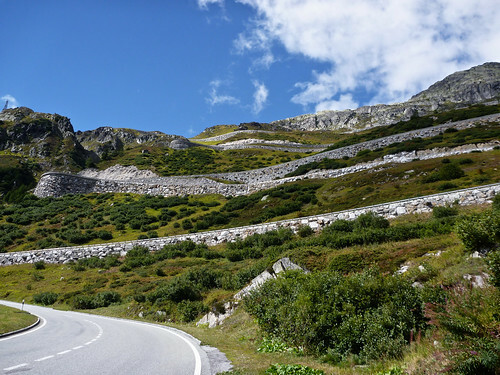 At Gletsch, I joined the route for the last 10 kms up to Furka pass (the profile includes the entire climb). In the photo above, Furkapass is in the far distance at the top right. 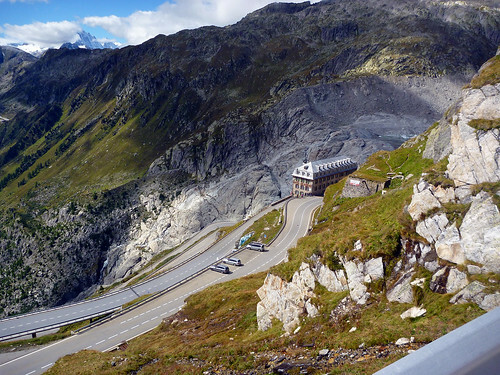 After reaching Furka and enjoy the views of Grimselpass hairpins, I doubled back to Meiringen. 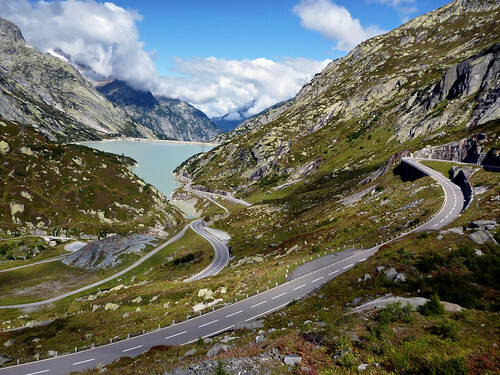 It is possible to make this a very challenging loop by descending to Andermatt and then climbing Susten pass – see here for details. 1. I’d avoid if there is precipitation as it probably will be snow …. and the road could be slick. 2. Bring very warm clothes (leggings, full fingered gloves, several layers, etc.) for the descent. If you’re not used to cold weather descending, be careful – really overdress and maybe consider something a little lower first. Congrats, yes it’s an amazing area when the weather is good. 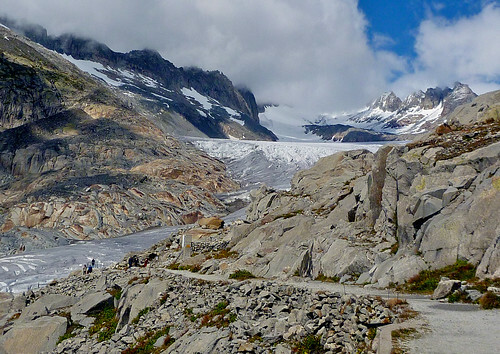 If you get a chance starting also from Meiringen, you should try the climb to Grosse Scheidegg. (link at bottom of post above). 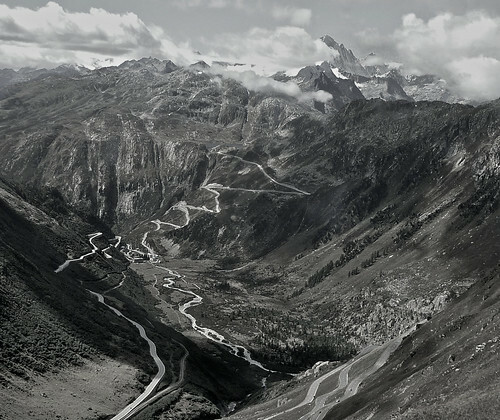 Unbelievably beautiful and I just read that it will be in the 2011 Tour de Suisse. But this time, I really had to write. 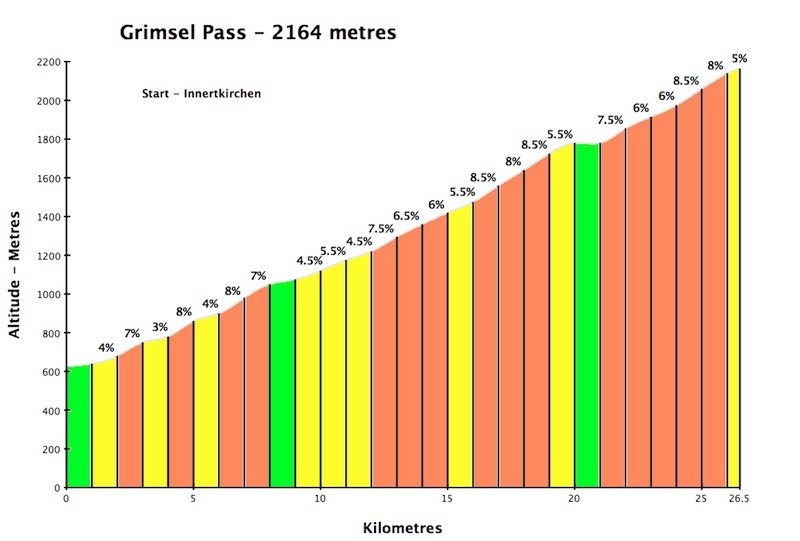 I cycled Grimselpass last Saturday (as part of a ride from Obersward to Spiez) and it was definitely my best ride EVER! It was quite cold, but as I (also) come from Canada, I managed! When I arrived in Geneva a few months ago a colleague referred me to your website, and that was the best tip ever. I owe you most of my best rides! I’ve only started cycling this summer so this is all new to me (but I can already foresee many years of cycling in front of me!). I’m hoping to cycle a few more passes before it gets too cold!